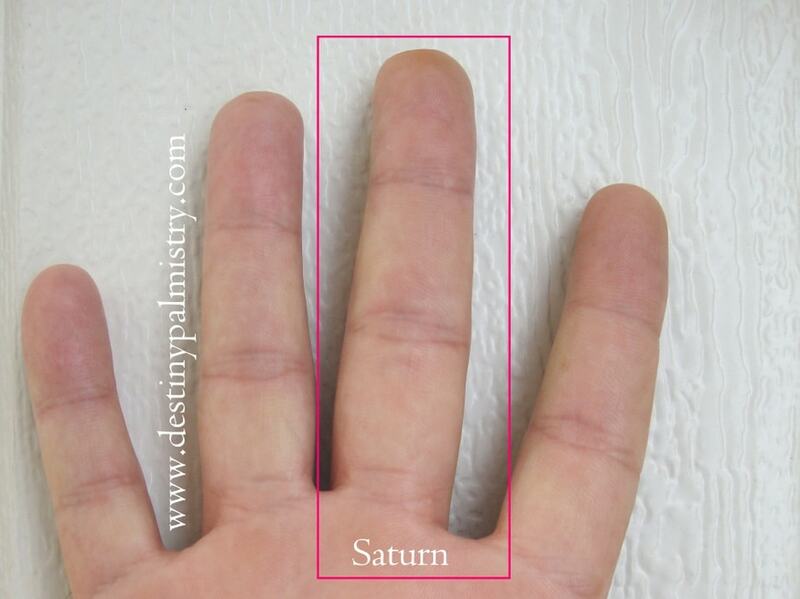 The middle finger in palmistry is called the Saturn finger. This finger can show much about your strengths. It can also show your weaknesses, it governs certain characteristics such as common sense, duty, service and restrictions. It is far from the emotional aspect of the character. If you have the middle finger as your strongest one on the hand, you will have many Saturnine qualities which ‘overrule’ emotions. In other words, you will not be ruled by your feelings. Don’t worry though, ideally the finger should be the longest on the hand. But, If it’s too long, the subject might find it hard to fit into with others; being alone is more enjoyable. If the middle finger is short, it shows the person is careless and probably lacks a sense of responsibility. The average persons’ middle finger is neither short nor long. See more about the finger lengths here. What if the finger is curved? A curved middle finger is common. It rarely curves towards the index finger. If it curves towards the ring finger, the subject might not be working at their creative ability as much as they’d like. It’s possible that they know they have talent but just can’t seem to be able to ‘show it off’. The reasons for this could be due to family obligations, finances or just a fear of being and showing themselves to others. If the middle finger seems to cling to the ring finger when the hand is held open, the person is artistic and very happy making it their career. If it clings to the index finger, it shows ambition and extrovert qualities; career is important to them. Ideally, on any finger, the phalanges should be around equal in size. It is common for the top phalanges to be the shortest. If overall, the tip phalanges are the longest, the subject is intellectual and potentially spiritual. This type of person is proud of their intellect and considers himself higher than other beings. However, anything overly exaggerated will change the meaning. If the middle phalanges are the longest, it shows an organised and studious character. If it’s short, they will tend to waste time and not enjoy learning. Subscribe to our YouTube channel for hundreds of free lessons in palm reading! CLICK HERE TO SUBSCRIBE FOR FREE NOW. Next PostNext What Does a Short Life Line Mean?